Ted Cruz Welcomes Endorsement Of Mike Bickle, a Religious Bigot! 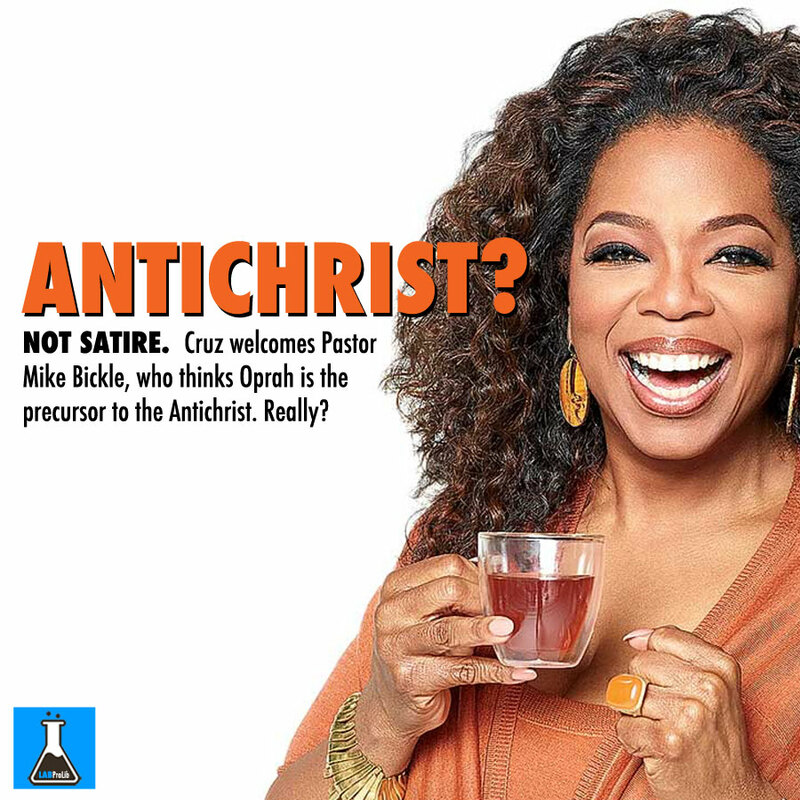 Oprah the Antichrist?! Really? The key to the GOP in 2016 is… Oprah? Really?! Rachel Maddow shows how Oprah is an unexpected point of overlap between the Trump and Cruz campaigns as Ted Cruz welcomes the endorsement of a preacher who thinks Oprah is the antichrist and Donald Trump has repeatedly said he would like Oprah as a running mate.